The Motor Vehicle Safety Whistleblower Act was passed by Congress as part of the FAST Act in December 2014. It authorizes the payment of rewards to employees of auto manufacturers, dealers and part suppliers for information that results in fines of more than $1 million. It was first introduced in November 2014 by Senators John Thune (R-S.D.) and Bill Nelson (D-Fla.). 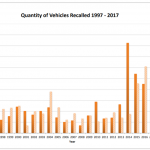 The bill was proposed in the Senate only a few days after the U.S. Government asked auto manufacturers to conduct a nationwide recall of cars with Takata airbags. The legislation was one of several proposed to improve vehicle safety following delayed recalls by auto manufacturers. Other proposed legislation included lifting the cap on the maximum fines from the National Highway Traffic Safety Administration (NHTSA), changes to auto recall rules, bar the sale of unprepared used cars and authorize the NHTSA to order unsafe vehicles off the road. The bills were considered as the Justice Department investigated several manufacturers for delayed recalls and the NHTSA was issuing record fines. 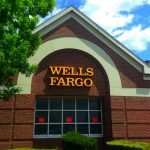 The whistleblower law borrows heavily from the securities whistleblower programs created by the Dodd-Frank Act. In 2010, the groundbreaking legislation to reform Wall Street authorized the U.S. Securities and Exchange Commission as well as the Commodity Futures Trading Commission to pay rewards to individuals providing information that results in monetary sanctions of over $1 million. 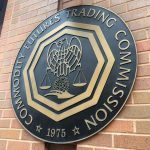 In the six years since, the nation’s securities and commodity regulators have paid approximately $100 million to more than 30 individuals for successful tips. The auto whistleblower bill moved through the Senate quickly. The Senate Commerce, Science and Transportation Committee approved the bill on February 26, 2015. The Senate unanimously passed the legislation in April 2015. Following its passage, the bill was sent to the House of Representatives for consideration. 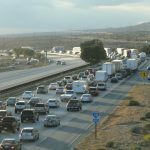 The bill initially appeared to be stalled in the House, where several proposed pieces of legislation to improve motor vehicle safety had been delayed by the Republican-controlled legislature. However, it received a hearing in the House Subcommittee on Commerce, Manufacturing and Trade in September 2015. The whistleblower reward bill was then included in the Fixing America’s Surface Transportation Act (which was abbreviated as the “FAST Act”). The transportation bill was necessitated by the depletion of the Federal Highway Trust Fund. For its first 50 years, the fund had been funded by the federal gas tax (and taxes of a few other times, such as tires). After various changes to funding and siphoning off for deficit reduction, the fund was set to run out. The whistleblower rewards for the auto industry followed anti-retaliation protections enacted by Congress in 2012 as part of the Moving Ahead for Progress in the 21st Century Act (MAP-21). The Occupational Safety and Health Administration’s interim final rule for the whistleblower protections went into effect on March 16, 2016. For additional information about the law, please contact our auto whistleblower lawyers by calling 1-800-590-4116 for a confidential, initial consultation.